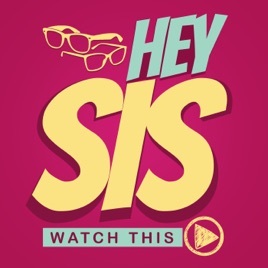 Hey Sis Watch This is a weekly podcast where siblings Stephen Malone and Grace Rhian take turns showing each other their favourite movies. From RoboCop to Stardust, from West Side Story to Fifty Shades, each week we take a look at a film one of us loves and the other has never seen. If you support us on Patreon (https://patreon.com/heysiswatchthis), you can get access to the special After-Show, a weekly bonus episode where we keep the conversation going and pick the next movie to watch! This is a great idea for a podcast the hosts are funny looking forward to listening to more episodes in the future.